When going through the process of renting a vehicle, you must decide upon the class of vehicles based on the number of passengers and your luggage. If you are renting a vehicle for the first time, then it can be a little bit confusing to choose the right one for your crew. In this short guide, you will find complete details on economy, compact, intermediate and luxury vehicles that will help you make a well-informed decision. Economy cars are considered to be the smallest of the rental car choices. Over the past few years, the popularity of these vehicles has increased manifold because of their fuel efficiency. Though these cars appeal to the budget conscious people, they may not be the right choice for people traveling in big crews. Economy cars are highly compressed in its size and can accommodate only four adults, one large suitcase, one medium bag and one small bag. These cars usually come in a 4-door or 2-door version, and you can choose the one based on your travel needs. Compact cars are slightly larger the economy sized rental cars and are ideal for in-town driving. They are perfect choice for short-day trips and family adventures. These compact cars accommodate five people and fit one large suitcase, two medium bags and two small bags. They are a little bit roomier, quieter and comfortable, making them the best alternatives to pricier options. The intermediate cars also fit five individuals and have enough room for two large suitcases, two medium bags and two small bags. If you are planning for a family trip, then this is probably the class you want to look at to enjoy the most comfortable travel experience. If you are looking for the premium driving experience, then you can count on high-end models that can fit 5 to 6 individuals. Moreover, you will also have enough leg room and space to accommodate 3 large suitcases, 3 medium bags and 3 small bags. 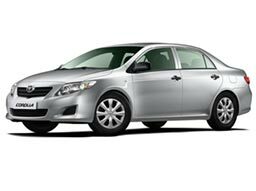 At AUZ Rental Cars, we have hatch backs, economic sedans, luxury sedans, SUVs, 4×4 utes and mini bus to choose from. Whether you are traveling as a family or a big group, we can provide the best kind of vehicle that can assure utmost comfort throughout your trip.